The number one new hit of last Fall’s television season, THE GOOD DOCTOR is coming to DVD August 7 from Sony Pictures Home Entertainment. Averaging 15.4 million viewers* during its first season, THE GOOD DOCTOR stars Freddie Highmore (TV’s “Bates Motel”) as Dr. Shaun Murphy, a young surgeon with autism and savant syndrome, who relocates from a quiet country life to join a prestigious hospital’s surgical unit. 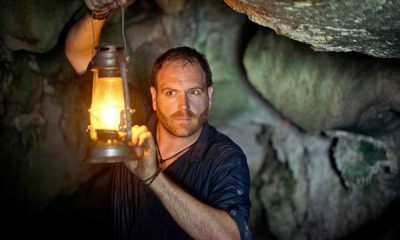 Alone in the world and unable to personally connect with those around him, Shaun uses his extraordinary medical gifts to save lives and challenge the skepticism of his colleagues. 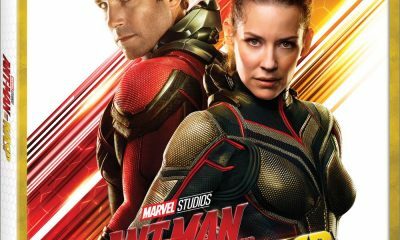 The series also stars Nicholas Gonzalez (TV’s “How to Get Away with Murder”) as Dr. Neil Melendez, Antonia Thomas (TV’s “Lovesick”) as Dr. Claire Browne, Chuku Modu (TV’s “Game of Thrones”) as Dr. Jared Kalu, Beau Garrett (TV’s “Girlfriends’ Guide to Divorce”) as Jessica Preston, Tamlyn Tomita (TV’s “Teen Wolf”) as Allegra Aoki, Hill Harper (TV’s “Homeland”) as Dr. Marcus Andrews, and Richard Schiff (TV’s “Ballers”) as Dr. Aaron Glassman . THE GOOD DOCTOR: SEASON ONE is executive produced by David Shore (TV’s “House”), Daniel Dae Kim (TV’s “Lost”), Seth Gordon (TV’s “Atypical”), Sebastian Lee (TV’s “Suits”), David Kim (TV’s “Dramarama”), Mike Listo (TV’s “Notorious”) and Thomas L. Moran (TV’s “House”). 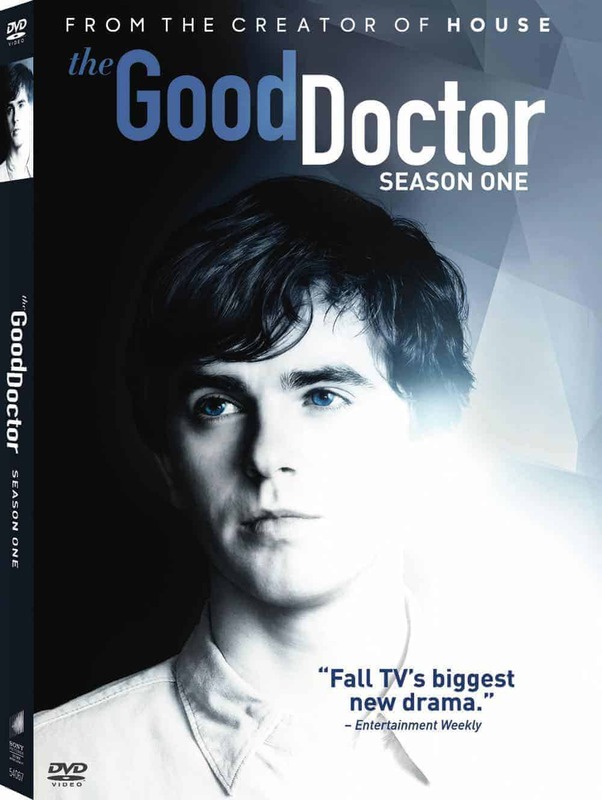 THE GOOD DOCTOR: SEASON ONE DVD set includes five discs with all 18 episodes, along with deleted scenes, a gag reel and two behind-the-scenes featurettes. 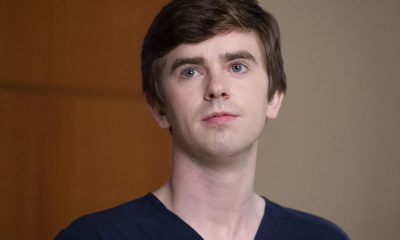 The Good Doctor centers on Shaun Murphy (Freddie Highmore), a young surgeon who has been diagnosed with autism & savant syndrome and recruited into the surgical unit of the prestigious San Jose St. Bonaventure Hospital. 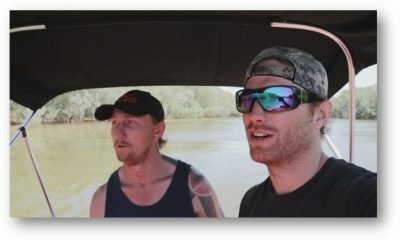 Although the hospital board expresses deep concerns over hiring a surgeon who has been diagnosed with autism, once Shaun impressively diagnoses a young boy, leading to a life-saving surgery, hearts and minds seem to be changed. 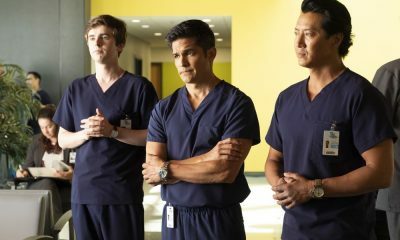 However, not everyone is convinced…including Shaun’s attending surgeon Dr. Melendez (Nicholas Gonzalez), and it becomes clear that although Shaun may have found his way into the operating room, there are still many challenges he must face to fulfill his dream of saving lives. Broadcast Year: 2017-18. 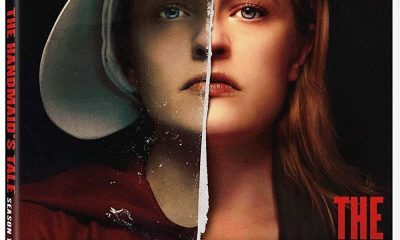 THE GOOD DOCTOR: SEASON ONE is not rated.